Home to almost half a million people, the gold Coast is a city coming of age. The area is diverse, from the lush tranquil natural beauty of the hinterland, to the pulsating night life of Surfers Paradise and the more relaxed southern towns, there is something for everyone. Toddlers to retirees and everyone in between are catered for and happily rub shoulders on the glistening sands. Queensland boasts an impressive average of 261 days of sunshine a year and this is a huge draw card for Aussies from the south in the winter. 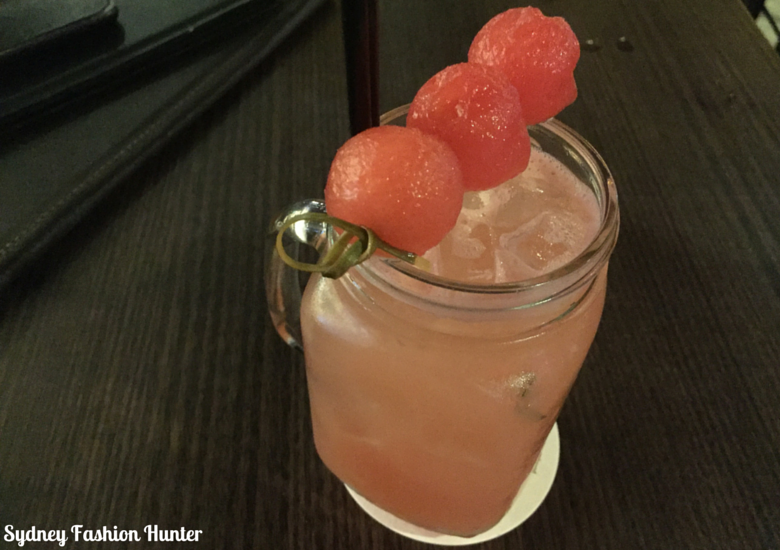 If you can’t have a good time in the Gold Coast that it’s just about time to give up! Finding a bed for the night in the Gold Coast is not hard. When I did a simple search on Agoda it returned 449 results. The difficult bit is choosing one. While I have stayed in many different areas over the years, these days we stay within a two block radius of Cavill Avenue as we like to be in the thick of it all. In January 2016 we chose the Hotel Grand Chancellor based on the central location. It was our first stay in what was formally the Marriott Courtyard. First impressions were great as the lobby is modern, light, fresh and instantly appealing but this is obviously where the recent refresh ended as the decor in the rooms is somewhat dated. On the plus side the rooms are quite spacious and offer great views from the compact balconies (see above) but as is so often the case with hotels, the lighting is largely underwhelming. Parking is directly underneath the hotel in the Paradise Centre but gets busy and you will need to fight with all the other punters when the hotels small exclusive section fills up. While there are definitely swankier places to stay the Grand Chancellor represented exceptional value for us with the discount deal that we scored. I wouldn’t pay the rack rate but I would definitely return if the price was right. Other hotels that I have stayed in that I would recommend are Chevron Renaissance, Marriot and the Paradise Centre Apartments. You could also try the newest swankiest kids on the block Peppers Soul or Hilton. To find you own perfect home away from home start your search at Agoda. Up until not so long ago Gold Coast public transport was pretty woeful and most people either brought their own cars or hired one. While we did hire a car, I’m pleased to report things are looking up on the public transport front with the addition of G Link trams which service pretty much everywhere that matters. Of course Surfside buses are still covering the area and between the two of them it is just about possible to leave the car at home. Restaurants on the Goldy are plentiful and options range from fast food stalwarts through to fine dining. We tend to eat in around Cavill so that we can leave the car in the car park and not have to worry about the booze bus. 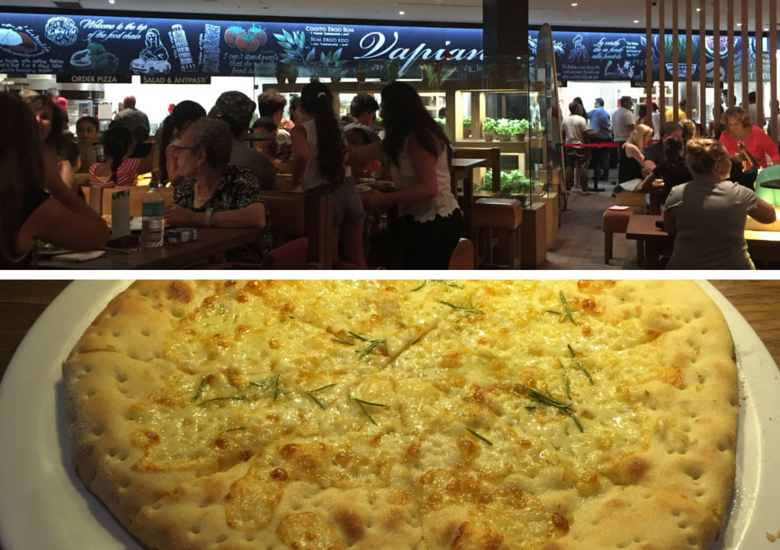 We had a perfectly satisfactory pizza at Vapiano, the only strange thing is that there is no table service. Hard Rock Cafe delivers everything you expect from the chain but expect to wait up to an hour for a table if you turn up at peak dinner time. We had a fantastic time at Dracula’s Cabaret (my full review here and discount tickets here) and for a theatre restaurant the food was exceptional. We love a great deal and always visit George’s Paragon for their half price menu but didn’t make it this year as the Surfer’s restaurant is no longer there and we didn’t fancy traveling to the others. Try the souvlaki, it’s my fave! 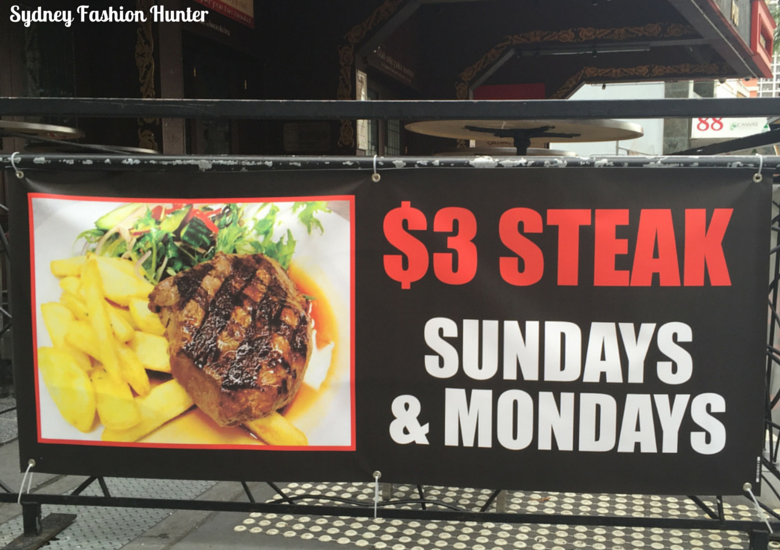 If you are on a tight budget you could always try Waxy’s $3 steaks, I didn’t but you could! If you are in the hinterland try Fortitude Brewing for a leisurely lunch and if you love a bargain as much as I do check out Groupon for discount vouchers before you dine. A cold beer is never far away on the Gold Coast. This trip we discovered The Institution on a quiet Sunday night and it was a big hit with The Hubs for their extensive and ever changing boutique beer menu. 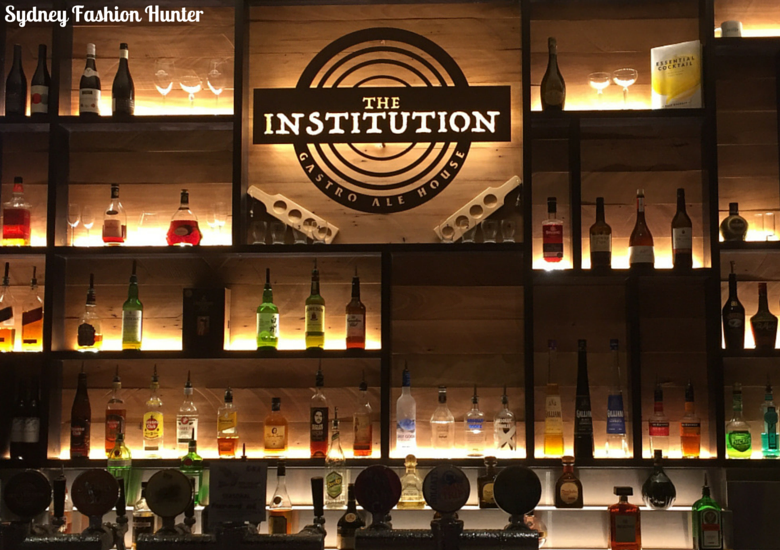 The bar staff are very knowledgeable about the stock and are more than happy to provide recommendations and a taste! I went for the cocktails instead and the summer breeze was just what the doctor ordered. For a drink with a view that stretches for miles why not try Seventy7 at the top of Q1. In my younger days we used to frequent Cocktails Nightclub, Melbas and Shooters until the wee hours. I’ve already shared a bunch of things to do when it rains but if you are lucky enough to have the sun shining you have lots more options. Of course a visit to one (or all!) 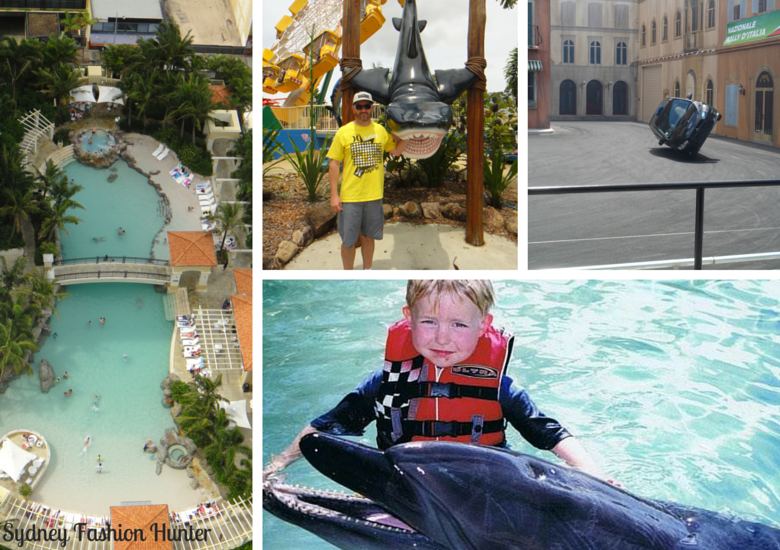 of the theme parks is a must for the young or the young at heart. I like Dreamworld, Movie World and Wet n Wild. 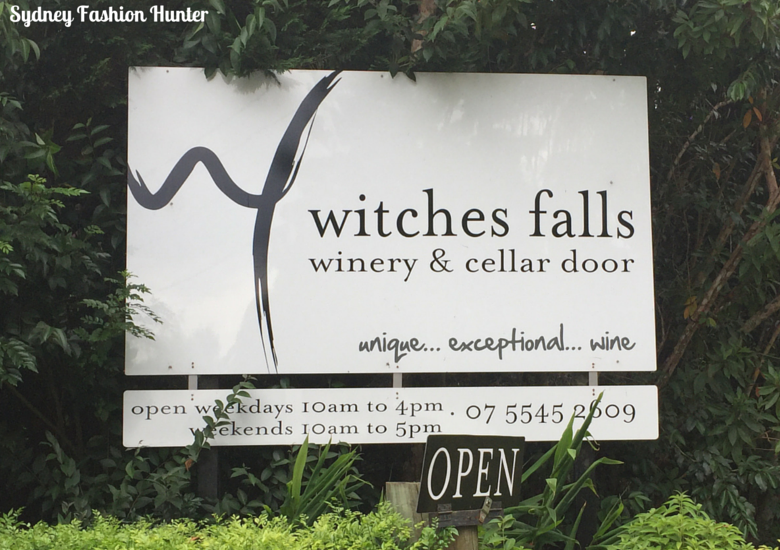 Take a drive to the hinterland (about an hour or so), explore a National Park and stop in at a cellar door like Witches Falls or Heritage Estate along the way. The Springbrook National Park waterfall walks are amazing! While you are there pop into Gallery Walk to browse the quaint shops. If you want to stay a little longer why not try Songbirds Rainforest Retreat, my blogger friend highly recommends it! If money is tight don’t be discouraged because there are plenty of things to do for free on the Gold Coast. 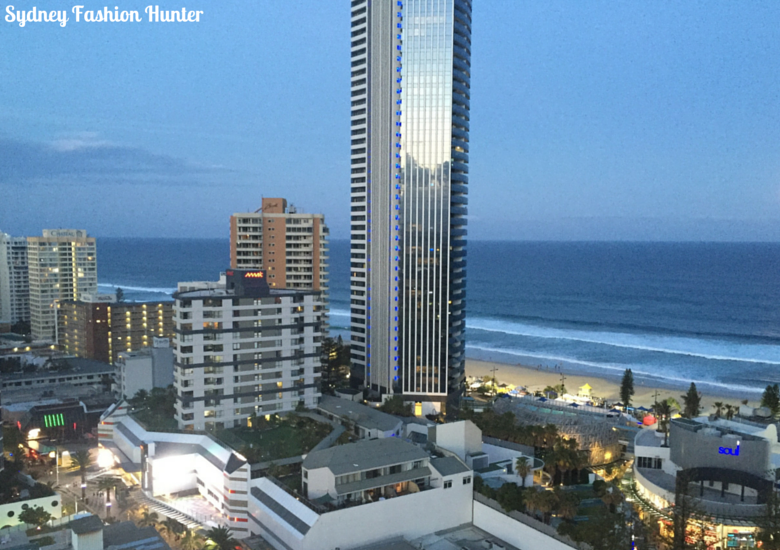 Of course you can’t not visit Surfers Paradise Beach, from night markets to festivals and sporting competitions there is always something on. If being on the water is your thing you can cruise, sail, surf, stand up paddle board or dive. If you fancy placing a bet Jupiters is the place to do it and you can also catch a show while you are there. Every October the V8 Supercars roar through the streets attracting huge crowds. If you are looking for something a little more refined frock up and spend a day at the races. If you are lucky you might be able to catch a Titans home game while you are in town. In 2018 the Gold Coast will be hosting the Commonwealth Games so start planning your trip now as it will no doubt be busy! 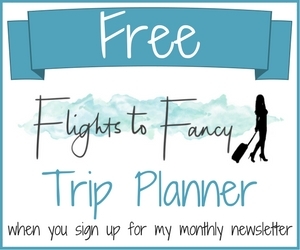 to be a For more things to do on the cheap check out these options. Much the same as in any capital city around Australia, Gold Coast shopping is dominated by malls. Pacific Fair is my favourite. It’s currently undergoing a major renovation but it is going to be amazing when it it done! Shops in and around Cavill Avenue tend to stay open later than those in the surrounding areas and it’s always a good way to walk off dinner. The Paradise Centre covers all your basic needs including a Woolworths supermarket. Luxury shoppers are catered for with the likes of Louis Vuitton, Prada and Gucci all clustered in a small radius near Elkhorn Avenue. I thought I had seen everything in terms of shopping, but I have never seen a thong vending machine until now. Only on the Gold Coast right? 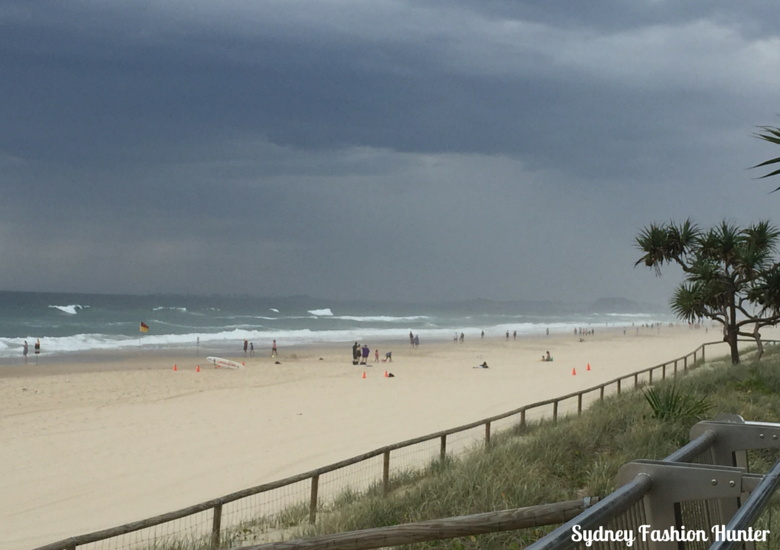 Have you been to the Gold Coast? What do you love (or hate) about it? Let me know in the comments below. Disclaimer: This post contains affiliate links for which a small commission pay be paid. I have never visited Australia but I did hear about how beautiful the gold coast is. I am surprised on how many things are there to do and your story reminds me of my trips to the seaside in my country with my parents when I was little. The gold coast seems to have the same vibe of a typical holiday place where you go to relax and have fun. Exactly Joanna. The Goldy is most definitely one of Australia’s favourite holiday destinations. I love it’s brashness and you can see all walks of life there. 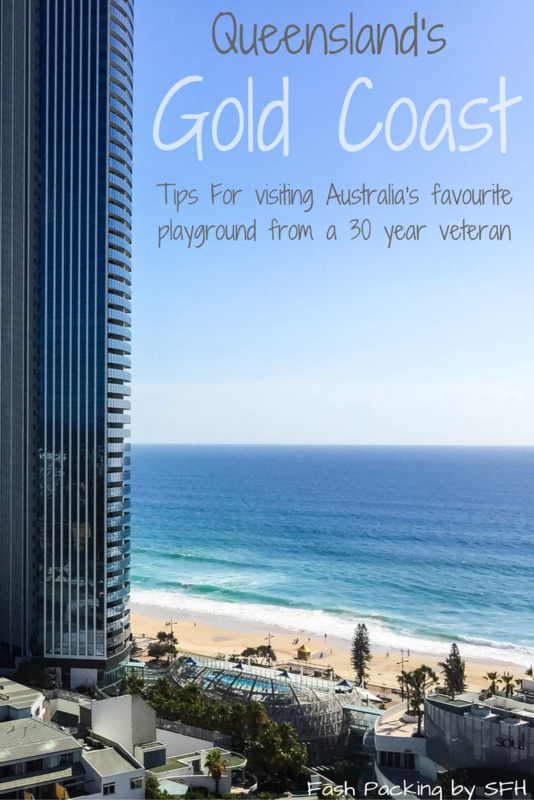 I am quite amazed while reading this post about Gold Coast. The place is over my expectations and i love it. First of all, i love the beach. Second, I am happy to see a $3 steak house so for sure there are other restaurants offering not so expensive food. Then lastly, the vendo machine of the slippers. Becoming more like Japan that almost everything can be in vendo. I can’t vouch for the $3 steak Jan as its a bit more budget than I would go for but there were plenty of takers ? It really does have something for everyone Sophie ? I have never been to Australia, but the Gold Coast sounds fantastic. 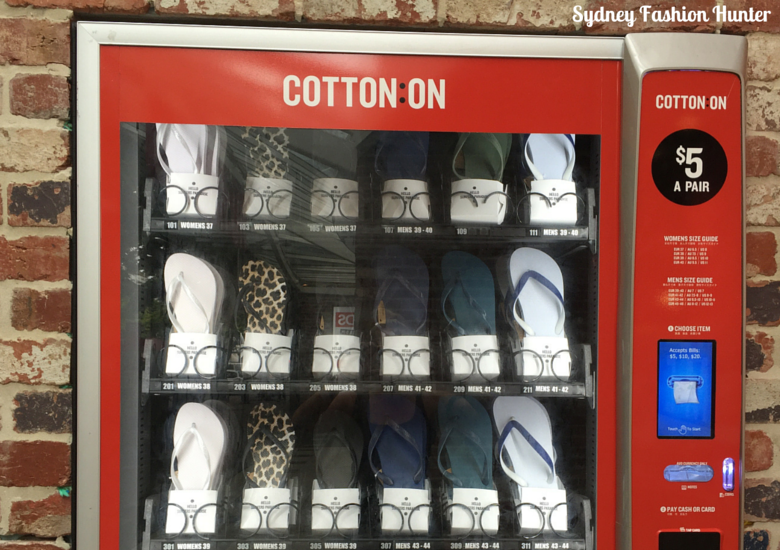 I’ve never seen a thong sandal vending machine either, and I’ve lived near a lot of different beaches. I like that there are a lot of options for traveling on a budget. A $3 steak is not easy to find! I’ve never been to the Gold Coast but I have heard about it. I’m just wondering, do most people live there year-long or is it more of a vacation destination? The Goldy is home to more than half a million residents Lydia but those numbers swell dramatically in summer when all the tourists are in town. Lots of older people will head there to retire due to the fabulous weather. Yup, heard of it but have not visited yet (i know i should!!). My husband lived there for half a year, he was always raving about it! Especially the surfer’s paradise! Hopefully, we’ll get to go together next time! And check out stuff to do you have here! Bookmarking! A lot of people end up doing a long stint in Surfers like that Sarah. The Hubs Aunty retired up there and has never looked back. The weather has a lot to do with it I think ? I have never visited the Gold Coast. Never made it further north than Sydney, but one day I would like to get there. I never knew there was so much to do!! 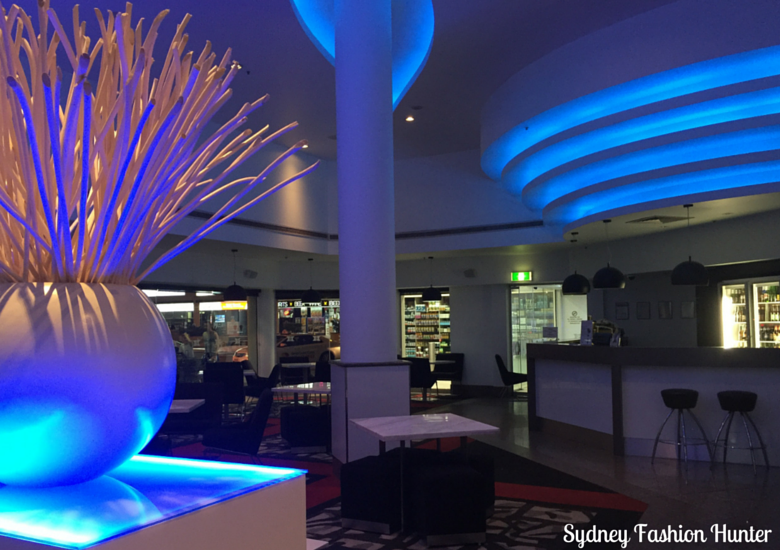 Well of course Sydney is stunning as well Clare so I can forgive you for stopping there ? Wow! You almost make me regret that I booked my flight back again to South America instead of Australia, which was my first plan, due to my friend just move to Sydney! Unfortunately, money took a big place on my decision 🙁 But I will start reconsidering it again! Budget is always a concern me me a Marina lol. I hope you make it back one day ? Oh I really love the flip-flop machine (sorry, can’t call them thongs; it sounds too weird). 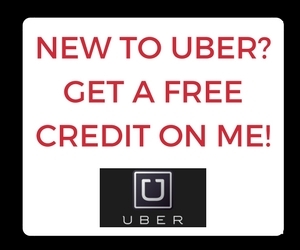 My pet hate is going somewhere and finding you really need a car to get anywhere, so good to know there is at least some public transport options. It’s great that you’ve written this about a place you clearly love and know very well, and there’s some great photos too. I always thought the Gold coast was more of a Spring Break kinda destination, so great to see that there is more to it than that. Hahaha Sarah they will always be things to me lol. The Goldy definitely caters to aSchoolies but is so much more than that. I love that it offers something for everyone! 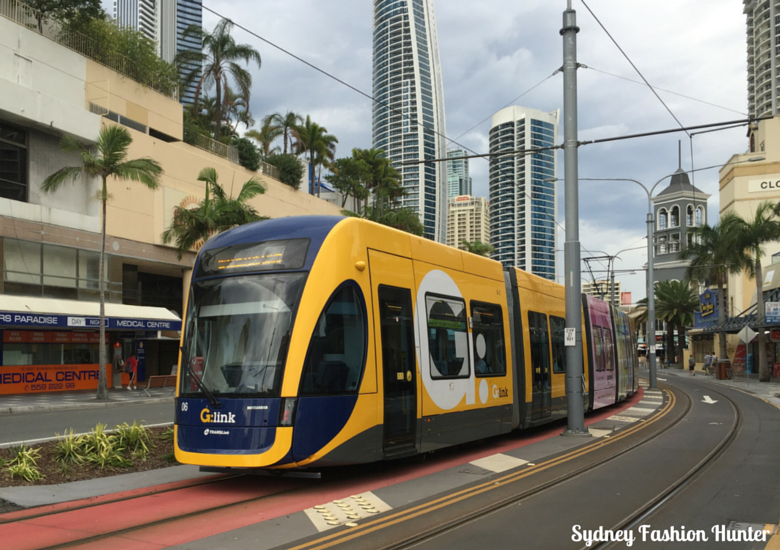 We are so woefully under serviced by public transport in Dunedin (NZ) that I am embarrassed to say I was really impressed by the public transport when we went to the Gold Coast 10 years ago! We are hoping to get back there as a family once my wee boy is old enough to appreciate the theme parks. Lol Amanda! If you were impressed then you will be blown away now! In sure he will love the theme parks, I used to have to drag my boys away kicking and screaming. They were apparently ‘not tired’ but their behaviour said otherwise at the end of a long day. I haven’t made it to Dunedin yet but never smash never ? I loved the Gold Coast so much that I chose to go to uni there just so I could live by its beautiful beaches. Especially as a visitor, there is just so much to do and see that you’d need at least a few trips to really uncover all that it has to off. I especially love the beaches of the Gold Coast – it’s so clean, it’s got beautiful sand and lovely blue water. I love it, especially at Currumbin and Kirra. It is pretty special Soraya. 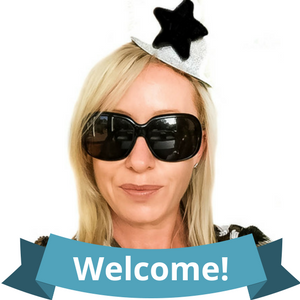 We contemplated moving North about 20 years ago about the job market made us decide to stay in Sydney. It’s lovely to visit though! It’s funny in all my years of visiting this trip was the very first time we made it to the hinterland which was lovely ?